Credit unions provide all of the financial services you need: savings accounts, loans, financial education, credit cards, online and mobile banking, and more. The “more” part is the best part, because it represents your benefits as a member. Okay, so what’s the difference between a credit union and a bank? The key difference between local credit unions and other financial services is that we are owned by members like you. Unlike for-profit financial institutions, which take their marching-orders from stockholders, we exist only to serve you and your financial needs. You’re the boss! With no Wall Street fat-cats to pay, we are uniquely positioned to return direct financial benefits to members. This includes better interest rates and lower fees. In 2018 alone, Oregon credit unions provided a whopping $152 million in direct financial benefits to over 2 million members. That’s the equivalent of about $75 per member, and $160 per household. Financing a $25,000 new automobile for 60 months at an Oregon credit union saves you an average of $177 in annual interest compared to what you would pay at the nearby bank. How do credit union members benefit? Do you want more examples of the benefits of belonging to a credit union? How does earning a better return on your savings sound? 2018 also saw the collective member benefit from higher interest rates on savings at more than $3.6 million. We supported local spending to the tune of $333 million. Not to mention a $1.8 billion boost to the Oregon economy. In the Northwest, 6.5 million consumers have discovered the Credit Union Difference. Nearly everyone who lives, works, worships, or attends school in Idaho, Oregon, or Washington is eligible to join a credit union. Learn more by visiting www.asmarterchoice.org. Credit unions provide jobs to 19,600 of your Northwest neighbors—2,520 in Idaho, 5,850 in Oregon, and 12,200 in Washington. Oregon alone supported more than $802 million in total income to working Oregonians. Credit unions earn a corporate tax exemption because they are not-for-profit cooperatives that return earnings to their members. Giving back to the community is part of the Credit Union DNA. You’re treated like you truly belong—because you’re more than a number—you’re a member. Credit unions live by Northwest values: local, cooperative, community based. 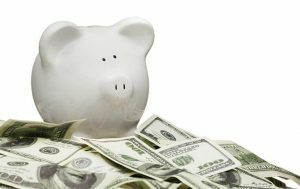 To learn even more about how credit unions support the Pacific Northwest, visit OregonLovesCreditUnions.com. Find out why 50 percent of Oregonians have chosen credit unions as their financial services partners. Wauna Credit Union is also a very safe place for you to save money. The National Credit Union Association insures all deposits up to at least $250,000 per individual. So, spread the good word! Tell your friends to join a credit union today! All analysis provided by economists at ECONorthwest, a highly regarded economic consulting firm.